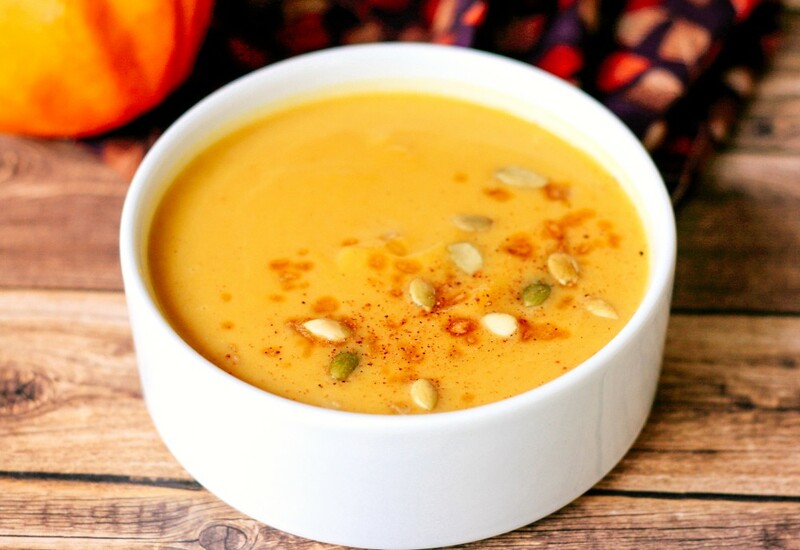 Making pumpkin soup from scratch is easy when you use your MultiPot! This warm and comforting seasonal soup with just a hint of maple and bourbon makes the perfect starter to your autumn menu. Pie pumpkins (also called sugar pumpkins) have more flesh and a creamier and sweeter taste than carving pumpkins, which tend to be more watery and stringy. If pumpkin does not fit in the pressure cooker, cut in half and set on top of trivet, flesh side down. Save the seeds and roast them. Use chicken broth instead of vegetable broth for a richer flavor. Per Serving: 167 calories; 6g fat; 25.3g carbohydrates; 3g protein; 9mg cholesterol; 711mg sodium. The maple bourbon flavors really transformed this pumpkin soup into an amazing dish. I usually add spicy notes to my pumpkin soup, but the sweet addition was amazing. The pie pumpkin was the best choice, I love the way it came out. Quick and easy which makes it perfect for busy weeknights. A little bit of labor in this recipe makes for an amazing pumpkin soup perfect for fall. The notes of maple and creamy texture were definitely my two most favorite aspects of this dish. There's absolutely nothing I would change.